Evan Weiss is a hell of a prolific guy. Aside from prepping the release of his second full-length under the Into It. Over It. moniker, Intersections, he also plays bass and sings in Pet Symmetry as well as Their / They’re / There. And, if that’s not enough, he heads up the newly launched record label Storm Chasers LTD, too. 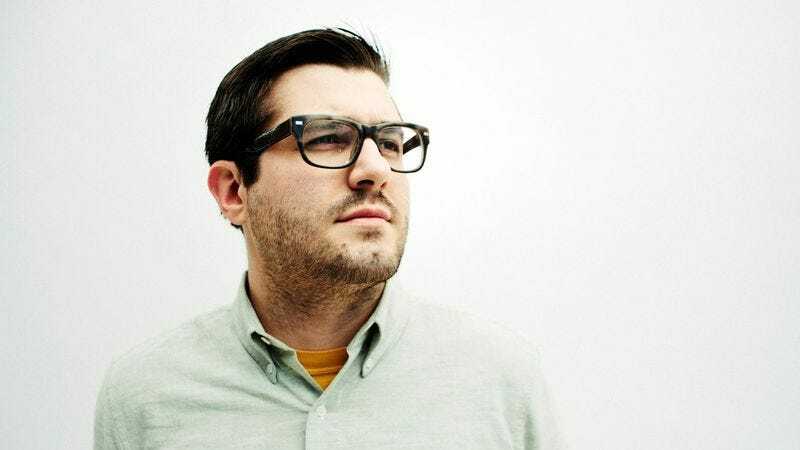 Intersections finds Weiss strengthening the connections between the various endpoints he’s explored over his career, and with the help of producer Brian Deck (Modest Mouse, Iron & Wine) he’s never seemed this self-assured. Though Intersections won’t be released for a couple weeks (via Triple Crown Records), we’ve got an exclusive stream of “Spatial Exploration.” The track, which can be heard below, marries the pop-punk energy of his first full-length Proper with the tightly wound eccentricities that Weiss has so adeptly utilized throughout his career. Into It. Over It. is currently serving as main support for an ongoing tour with Saves The Day and is throwing a record-release show for Intersections at Chicago's Schubas this October.